As an edugeek, Megan enjoys blogging for the Center For Teaching Quality’s TransformEd, writing about her students, and serving in various leadership roles, including the Board of Directors for the National Board for Professional Teaching Standards, the Teacher Advisory Board for the Center for Teaching Quality, and the Teacher Advisory Board of Mutasia, Inc.
Megan serves in a pilot teacher leadership program in her district, where she works as a teacher leader with release time for a portion of each day. In this work, she works to cultivate teacher leadership in her county, state, and beyond. Megan has been an Ed Week blogger and her writing focuses on professional roles for teachers and teacher leaders. 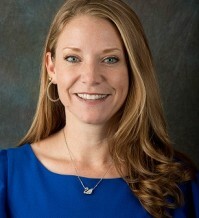 Megan Allen, the 2010 Florida Teacher of the Year, is a National Board Certified Teacher and the 2010 Florida Teacher of the Year. She happily spends her days working as a fifth grade teacher at Shaw Elementary School in Tampa, FL, and as a teacherpreneur with the Center for Teaching Quality, focusing on efforts to support and elevate teacher leadership in order to create stronger public schools.